Witch dress in Shades of purple and black. 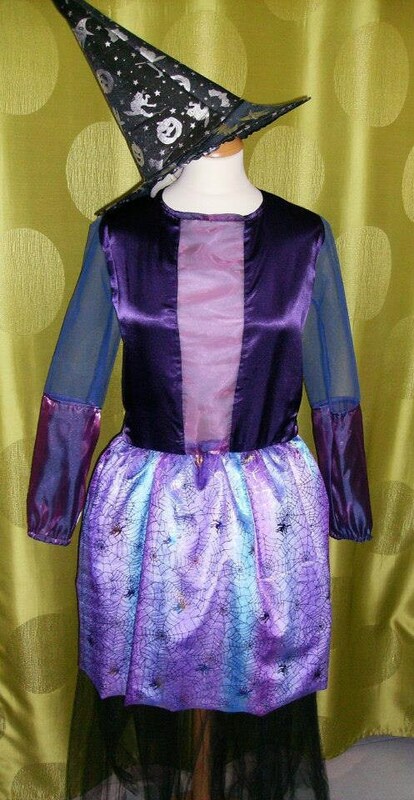 Skirt in velveded lilac with spiders, top in purple satin. Squeeze back with velcro.